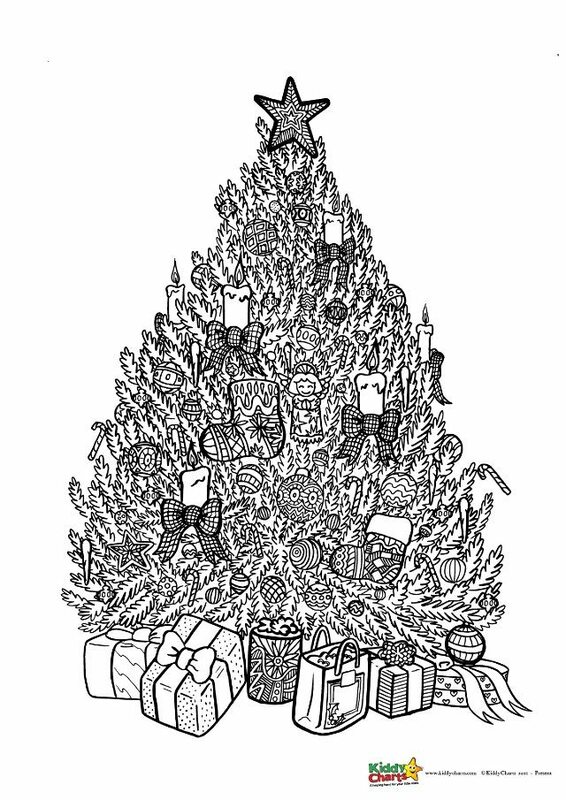 Embark on a festive colouring adventure as we have a brand new printable Christmas tree coloring for adults and kids! This is a wonderful set you and your kid can colour in together. We are already getting a little bit excited about the upcoming holidays, there truly is not a holiday more family focused than Christmas we think! 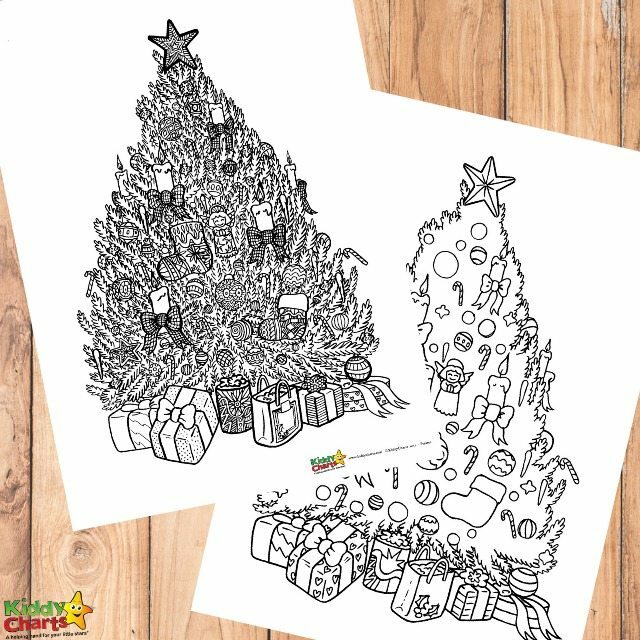 If you and your kids love colouring in, these wonderful printable Christmas tree coloring for adults and kids are the best for you to spend some quality time together. 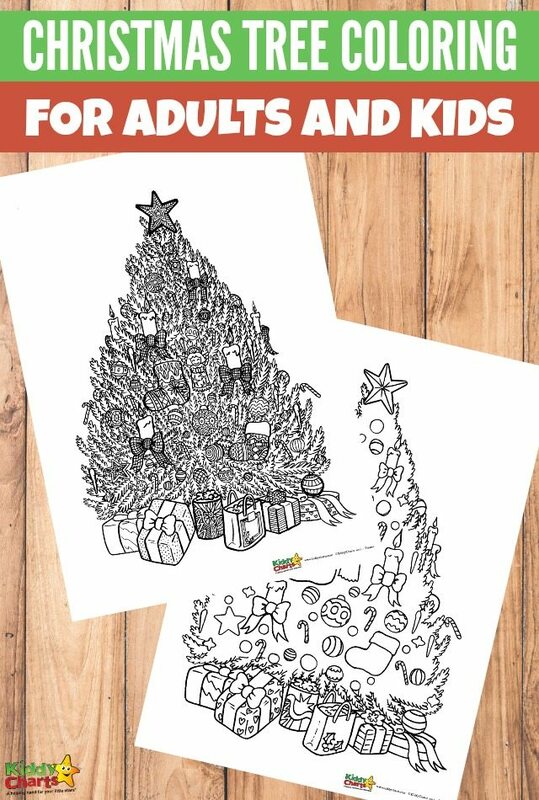 These are perfect to make new memories during the holidays, or even to start a colouring family tradition. It is quite simple to get these free coloring pages for adults and kids. If you want the one for adults just click on the first black and white image bellow. if you want the one for little ones just click on the second black and white image bellow. As grown ups love a bit of a challenge when it comes to colouring in, this Christmas tree coloring for adults is full of wonderful festive details, from the socks with festive patterns to zen-baubles. We think metallic gel pens would work wonderfully with this one, adding magical details. 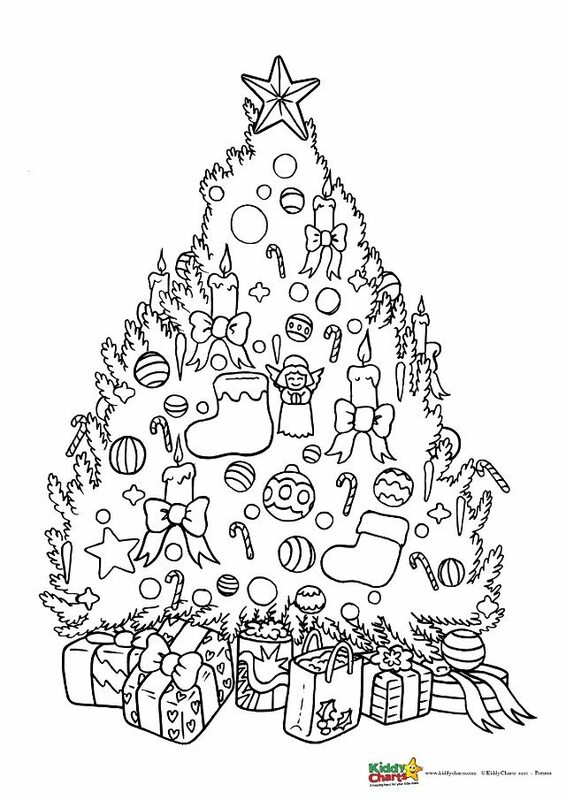 Kids on the other hand, appreciate simpler designs that are easier to color in, so this toned down Christmas tree coloring for kids is just perfect for them. So quickly print this one, grab the crayons or coloring pencils and let the little ones have some colouring fun. As for adults, this one is great too, as it can offer quite a creative challenge – why not fill it with festive details of your own before you colour it in. So many possibilities and a great way to unleash your creativity. We wish you a happy colouring adventure! Winter colouring pages for adults and kids. So, no more talking, it is time to colour :)! I hope you will enjoy them as much as we did. We have a great Pinterest board covering free Printables, where you can find some of our freebies , as well as those from other lovely sites all across the world. If you like a good giveaway, do check them out on the KiddyCharts site as well, we have a few giveaways running at the moment, so it is always worth bookmarking and coming back regularly. We usually have a new one go live every Thursday.